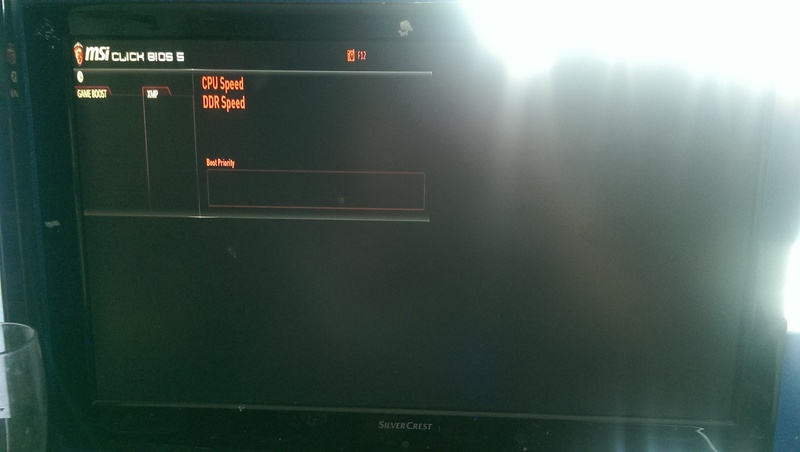 After finished building my pc, I tried enter the bios, and it's different from what i was expecting, you could only read "msi click 5", two empty tabs called "boost" and "a-xmp", in the right "cpu speed" and "ddr speed", and under an empty box with the label "boot priority", and nothing else. I have a b450 tomahawk with a ryzen 5 2600x, I already installed windows 10, but I don't know what to do about the bios. ps: when I try to go in the boot menu, i only get a "arsenal gaming conquer the battlefield" box, with no option, nothing. Are you in "EZ Mode"? Can you hit F7 to enter the advanced settings? Nope, no key works, there's no way exiting the bios screen. Question Why does my BIOS look weird?